We understand you may have a set budget to antifoul your boat - we will make every effort to accommodate you and make sure our price for your boat's antifoul painting is right for you. Our aim is to offer a fixed price for your antifoul but please bear in mind that until your boat is out of the water on our hardstand, we won’t know if additional work is needed, if any. After our initial discussion with you regarding the antifoul paint your boat requires, we will send you our Work Request form together with our written Quotation confirming the price discussed. Under no circumstance will we proceed with any repairs or upgrades outside the original quote, no matter how necessary, without your express consent. Our advice is to lift your boat annually and carry out inspections of her propeller, shaft bearings, rudder bearings and skin fitting. Aapply a full coat of ablative antifoul all over, with a manufacturer specified DFT of 75 microns, and a 2nd coat around the waterline, leading edges of the keel, rudder(s) and running gear. 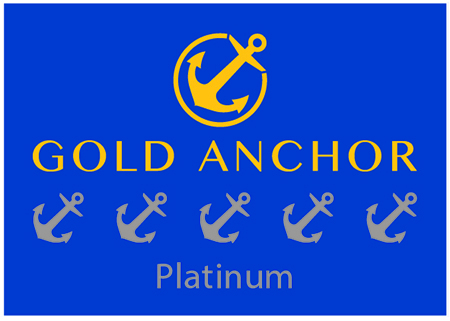 Year in year out, we find that this is the most cost effective antifoul painting program for boat owners. Our state-of-the-art hardstand and travel lift ensure this is a hassle-free experience for everyone involved. Of course we will do whatever the customer asks, however our observations are that boats which receive two coats of antifoul become just as fouled after 12 months as those which receive a single coat of antifoul (plus two coats at the waterline and along leading edges). There are obvious price benefits to this and avoids unnecessary paint buildup on your boat. Typically we recommend an ablative antifoul over the hard antifoul types. Both have their place and limitations, peculiar to eac. Both boat painting options really only offer the same 12 month service life. It's a personal preference, and the price is pretty much the same. Our observation at Bobbin Head is that after 12 months, boats we service that have used ablative antifoul have less slime & shell than boats that have used a hard antifoul as a boat painting solution. Propspeed is a relatively new innovation specifically designed for application on propellers, rudders, shafts, skegs and trim tabs. Propspeed works because it is slick, not because it is toxic. It will increase your boat’s performance and fuel economy, providing a full 12 months of service life. The ideal time to apply Propspeed is when your boat has been lifted for its annual antifoul. Our price for Propspeed application is very competitive. Typically we require your boat for about 24 hours to take it out the water with our 50-tonne travel lift, clean it and complete the antifoul process. 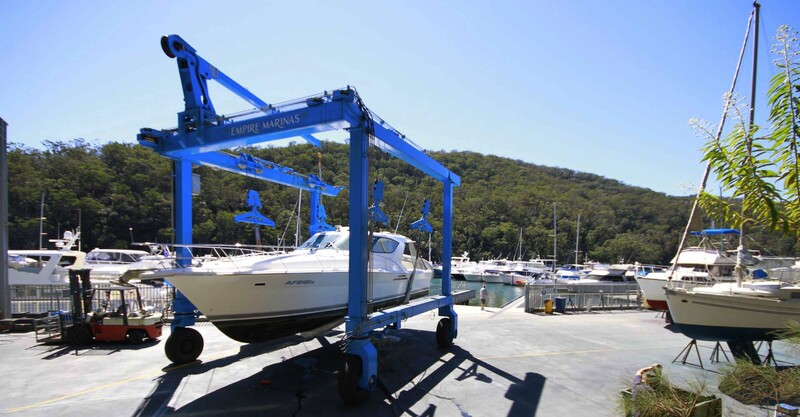 To assist customers who may not be able to deliver their boat to us in Bobbin Head for the antifoul, we offer a towing service to and from their berth, or a delivery and return service, wherever it may be in Sydney – Pittwater, Hawkesbury River, Broken Bay, Sydney Harbour, or even further afield. Please also enquire about our complimentary weekend-to-weekend boat berths for Sydney boat owners who antifoul their vessels at our marina and are looking to explore our magnificent waterways. To arrange your antifoul simply email john@empiremarinas.com.au or call 02 9457 9011.